The Aransas Queen is a 155 foot vessel sailing seven days a week from Aransas Pass, Texas. This luxuriously-appointed vessel is beautifully outfitted with the latest slots and table games, including 181 Ticket-in/Ticket-out Slots, Craps, Roulette, 3-Card Poker, and Blackjack. 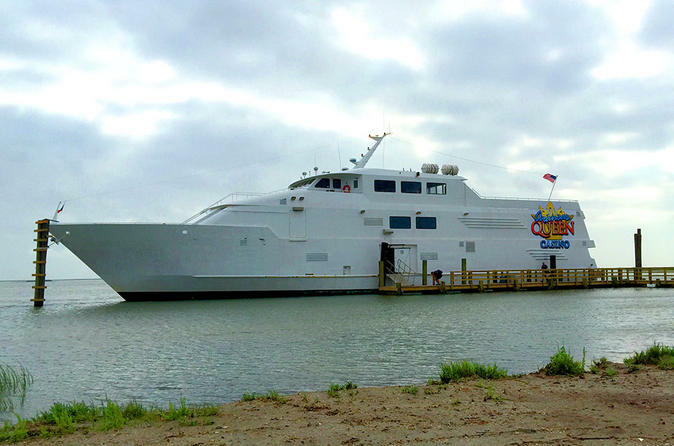 The Aransas Queen also features two fully-stocked bars, and both indoor and above-deck dining and lounge areas for your enjoyment.